At Alibaba’s 2016 Computing Conference, Jack Ma focused his speech on five areas that are being transformed by technology. The list included new finance, new manufacturing, new technology and new energy with new retail at the center. Alibaba wants to use data and technology to transform retail, including offline retail, which accounts for 82% of the total. New retail is Alibaba’s strategy to redefine commerce by enabling seamless engagement between the online and offline world. It’s not about converting online users to offline customers or vice versa. It’s about building a retail ecosystem that blends online and offline channels in a unified way that features the consumer at the center, often in new and unexpected ways. The company used the occasion of the Double 11 Shopping Festival – which itself has transformed retail by being 18 times bigger than Amazon Prime Day and 2.5 times bigger than Black Friday and Cyber Monday combined – to showcase their vision. New retail stores can curate consumer experiences specific to brands and products. · A connection to an online payment system is established to enter the store. In Alibaba’s case, Alipay must be scanned to enter their smart stores. · Price tags are electronic and prices vary in real time based on certain factors. · Facial recognition technology is used to track customers. Discounts are offered on items they smile at or that they have searched for online. · Items can be purchased for later delivery. Home delivery details don’t need to be given as the system already has the purchaser’s home address on record. Delivery in major cities in China is already very fast taking from 15 minutes to 3 hours. · Customers can receive location-based store recommendations and discount notifications through their Taobao or Tmall app on their mobile devices, driving traffic to offline stores. · Customers can “try on” apparel and makeup items virtually, with the help of RFID (radio-frequency identification) and AR (augmented reality) technology. · Customers can scan images using AR technology to visit product listing page and collect coupons. · Consumers can purchase items using vending machines by scanning a QR code and they can also have the products delivered home with a few clicks. · There are also innovative technologies like a “Cloud Shelf” that stores purchasing behaviour data, facial recognition information, mobile gamification, etc. Alibaba’s LST (零售通 / “retail integrated”) initiative is different from Amazon’s physical store push in that it can be leveraged for use by millions of neighbourhood convenience stores and mom-and-pop shops to digitize their businesses rather than only be used in Alibaba owned stores. For example, the LST system can help the owner of a brick-and-mortar retail store to measure the demographics and purchasing behaviours of surrounding customers and then predict and recommend the most in-demand products for sales in that store. Their tech can be used for merchandising, inventory management and logistics to enhance their business operations. Last August, Weijun Grocery (维军超市), a community grocery store besides Zhejiang University in Hangzhou, joined Alibaba’s LST system and was later chosen as the first trial target for its “Tmall Corner Store (天猫小店)” franchise. According to an interview with the store owner in August this year, the sales volume witnessed a sharp increase of 45% compared with last quarter, while customer traffic grew by 26%. Modern Chinese e-commerce consumers are predominantly young and mobile-savvy so shopping isn’t just about passively adding items to their virtual shopping cart. It’s already become a social activity, a means of consuming content and, ultimately, a form of entertainment. This year, the sales campaigns before the Double 11 Shopping Festival illustrate this “Retail as Entertainment” concept. Major “See Now, Buy Now” online fashion shows have already taken place in 2016 and 2017 with brands like MAC, Guerlain, Pandora, TAG Heuer and Rimowa taking part. During these shows, the audience can do more than just watch. They can purchase outfits using a purchase link shown on the left side of the screen on Taobao or Tmall, or shake their phones to go to the product page if they were watching the show on TV. 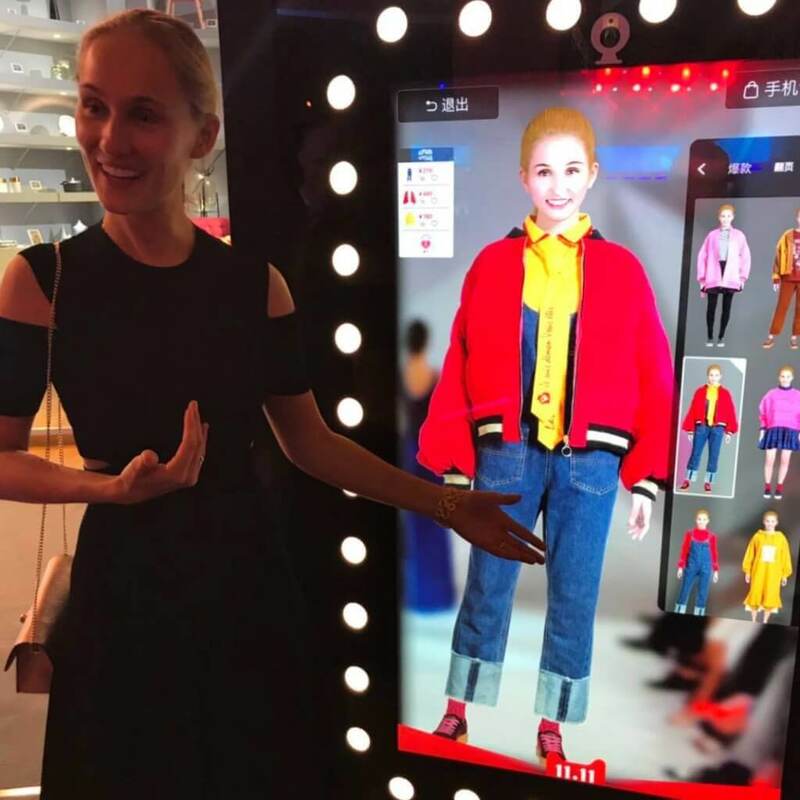 They also had access to a virtual fitting room where they could upload their photo and input their height and weight information to “try on” and preview their new looks with the items they would like to purchase. Online games to get product discounts as well as the Double 11 Countdown Gala also fit into the retail as entertainment transition. This is already taking place at a certain level in China as many brands reward consumers for posting their purchases and taking part in campaigns. It’s also going to take place in more sophisticated and embedded ways offline. For example, at one of the pop up shops that were part of the Double 11 Festival, after you bought an item, a photo studio in the shop had staff to quickly put on professional makeup and take your picture with the item with great lighting in a studio setting. The consumer now becomes a mini-influencer and an active partner in social selling. Alibaba’s new retail is not the only concept pushing Chinese retail into the future. Tencent, for example, has also been active in the new retail battle. With 889 million monthly active users on WeChat and over 55% of mobile consumption time in China spent on its products, Tencent has the advantage in terms of its mobile user database. It also collaborates with JD and VIP in strategic partnerships in order to compete against Alibaba. On November 8th, 2017, Tencent officially announced its ‘Smart+’ strategy with its cloud platform establishing a smart ecosystem covering retail, finance, logistics, marketing, communication and more in a decentralized way. Tencent also aims to empower a ‘Smart+Retail’ with the latest big data, cloud computing and AI technology. At the same time, existing WeChat functions such as official accounts, mini programs and WeChat Pay already support retail merchants. For instance, with the help of WeChat Pay and big data analysis, merchants can better understand the their target consumers, and customize messages and promotions quite precisely. With mini programs, merchants can merge shopping experiences and output services of online and offline retail in a seamless manner. · Unbounded consumers: consumers can access more purchasing options through multiple providers and channels, even across space and time. · Unbounded scenarios: connecting and combining online and offline channels and new scenarios integrating innovative technology. · Unbounded supply chains: integrated solution for the entire process from product design, production and inventory to pricing and logistics, infinitely extending the value of the supply chain. · Unbounded marketing: all media, merchants and platforms collaborate to generate smart content and facilitate sales conversion. JD’s unbounded retail also uses an efficient, precise and safe database to unify the consumer insights and experiences. For example, coupons released by JD can be used in the brand’s online JD store, WeChat stores, as well as offline stores. Consumers’ memberships and corresponding discounts can also be converted freely online or offline. It creates a seamless consuming experience in diverse channels, and help brands connect with target consumers in a more effective way. All these influences, innovations and catalysts will move beyond China’s borders to the wider world and will impact global changes. It will be fascinating to see if these social technology giants, together with the Chinese government, can make China a true superpower of the 21 century. 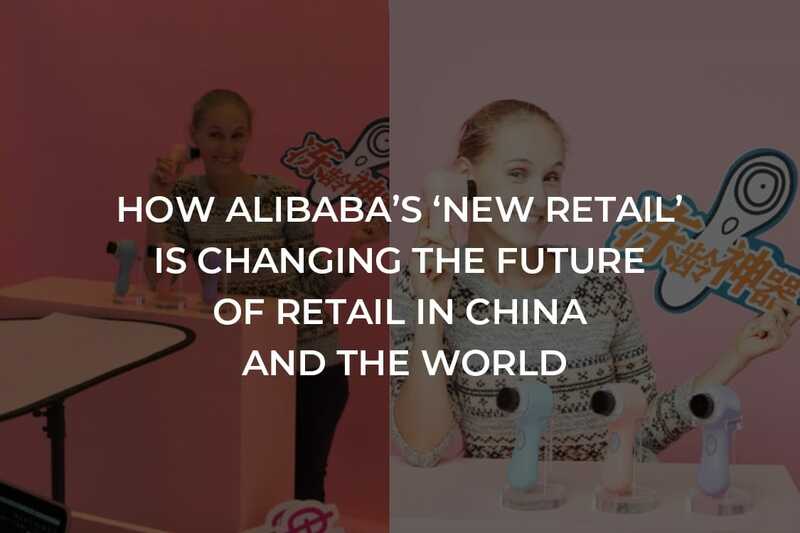 Disclaimer This article <How Alibaba’s ‘new retail’ is changing the future of retail in China and the world> was originally published in Technode, written by Ashley Galina Dudarenok.